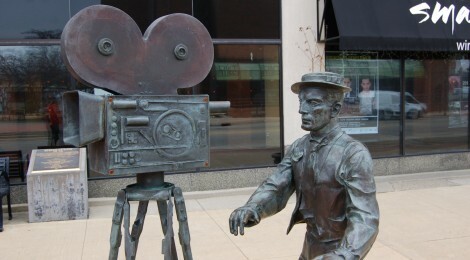 Buster Keaton was one of the best-known actors of the silent film era, famous for movies like The General and Sherlock Jr. 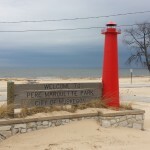 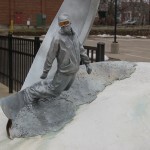 He was born in Kansas but spent his summers in Muskegon and considered the latter his hometown. 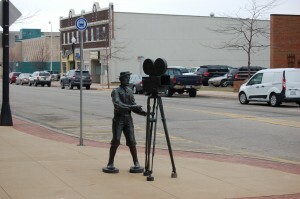 In 2010 a Buster Keaton statue that had previously stood outside the Hollywood Entertainment Museum was purchased and move to Muskegon. 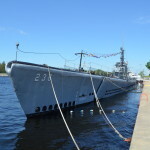 It stands in front of the Frauenthal Theater on Western Ave. in the heart of downtown, and a plaque in front of the building reads: “Buster Keaton 1895-1966, Renowned actor and filmmaker who called Muskegon home. 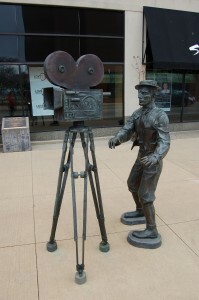 Best known for his silent film comedies and dead-pan delivery, Keaton’s long career began in vaudeville at three years old, and included television, Broadway, and modern film.” Artist and sculptor Emmanuel Snitkovsky created the piece, which features Keaton standing behind an early motion picture camera. 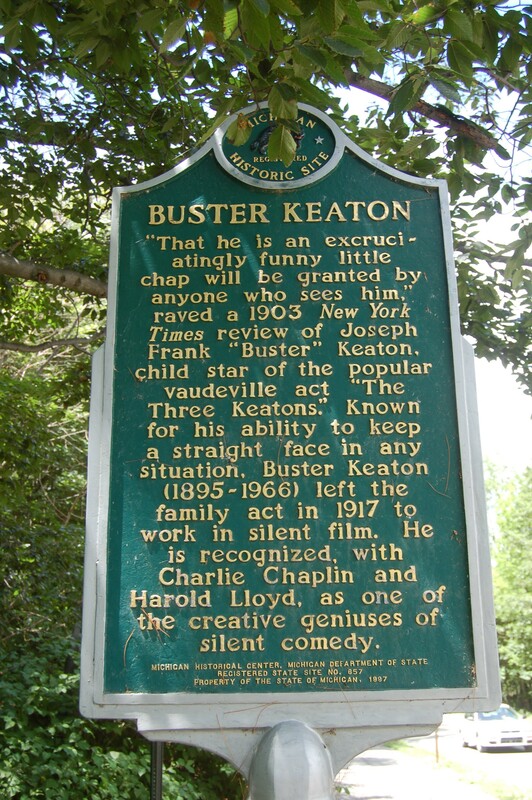 “That he is an excruciatingly funny little chap will be granted to him by anyone who sees him.” raved a 1903 New York Times review of Joseph Frank “Buster” Keaton, child star of the popular vaudeville act “The Three Keatons.” Known for his ability to keep a straight face in any situation. 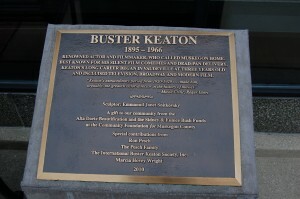 Buster Keaton (1895 – 1966) left the family act in 1917 to work in silent film. 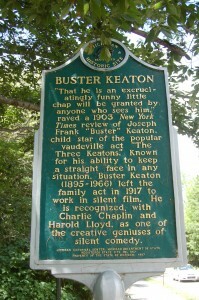 He is recognized, with Charlie Chaplin and Harold Lloyd, as one of the creative geniuses of silent comedy. 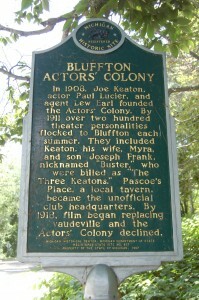 In 1908, Joe Keaton, actor Paul Lucier, and agent Lew Earl founded the Actors’ Colony. 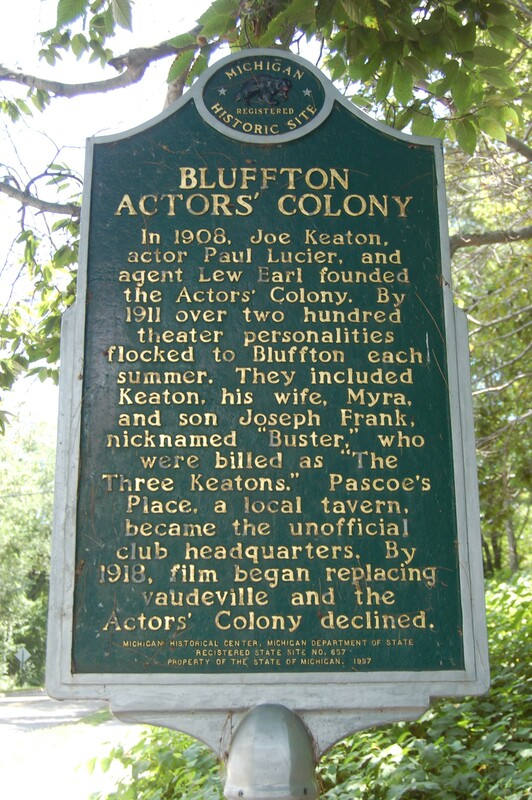 By 1911 over two hundred theater personalities flocked to Bluffton each summer. 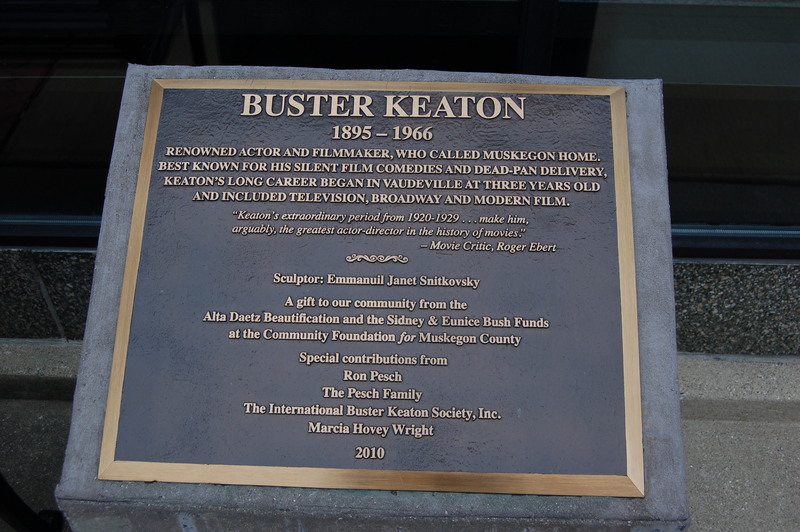 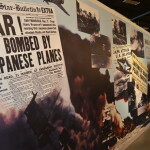 They included Keaton, his wife, Myra and his son Joseph Frank, nicknamed “Buster,” who were billed as “The Three Keatons.” Pascoe’s Place, a local tavern, became the unofficial club headquarters. 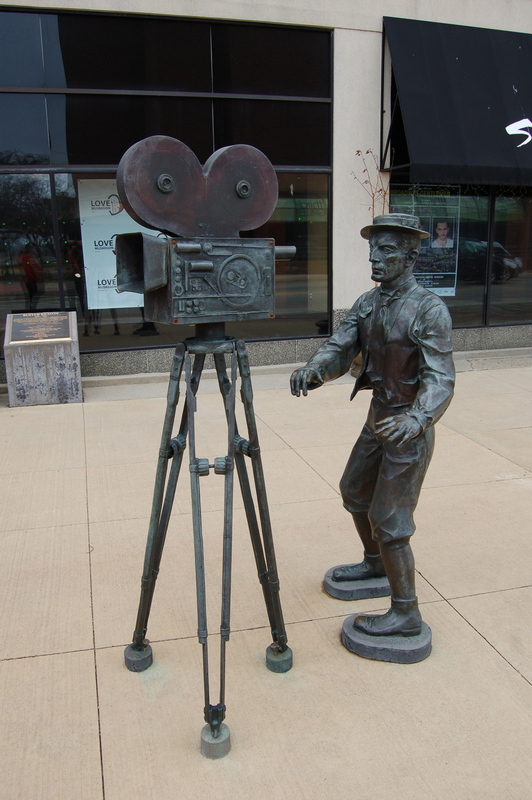 By 1918, film began replacing vaudeville and the Actors’ Colony declined.